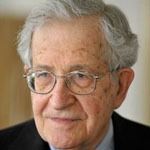 Noam Chomsky is a political philosopher, activist and linguist. His linguistic work is widely credited with having revolutionized the field while his political writings have made important contributions for decades. He is the author of such works as Profit Over People, Masters of Mankind, Failed States and many more. His latest is Requiem for the American Dream: The 10 Principles of Concentration of Wealth & Power. Requiem for the American Dream is a must read for anyone wanting to understand just where democracy has failed in America. What is that expression on his face? The GOP, Grand Old Party has become the GAP, the Grab All Party. Thank you for all the good you do for us, all the hard work. I dont know what we would do without you! Hello,I read your blogs named “Noam Chomsky – Requiem for the American Dream – Ralph Nader Radio Hour” like every week.Your humoristic style is witty, keep up the good work! And you can look our website about اغاني.